Cat-shifter on the run, Molly has been captured, imprisoned and is near-death when Ivan rescues her. Once she’s free, spending time with Ivan has her re-thinking her vow not to take a mate. 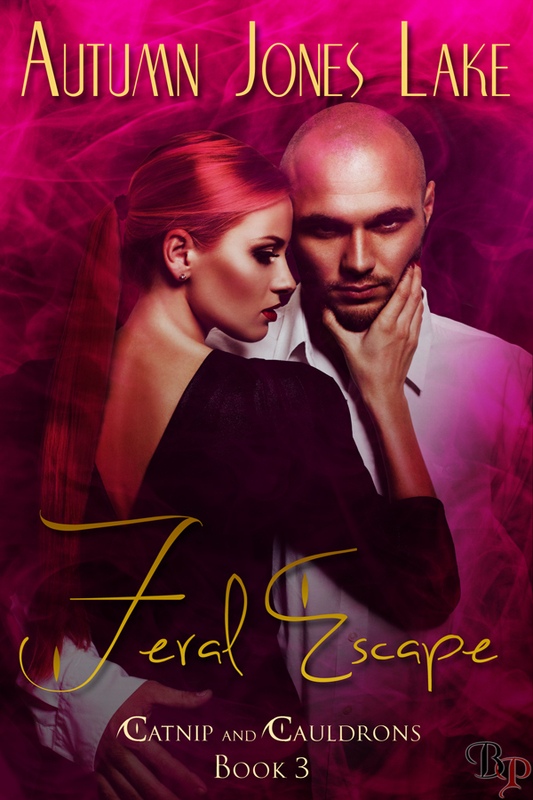 I’m giving away a copy of Feral Escape. Since it’s my first giveaway I’m keeping it simple. Like my page on facebook, follow me on twitter or leave me a comment telling me what type of shifter you’d like to see next in the Catnip and Cauldrons world to be entered in the rafflecopter drawing. That’s it! You can also enter through my facebook page. Autumn Jones Lake, Breathless Press, cat-shifters, Catnip and Cauldrons, Feral Escape, Giveaway, rafflecopter. Bookmark.